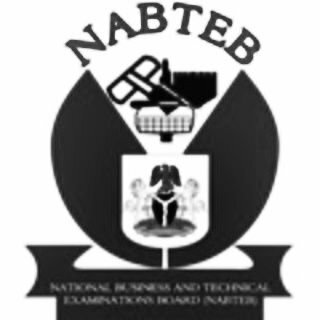 FREE DOWNLOAD: The National Business and Technical Examinations Board (NABTEB) Mathematics Syllabus Now Available for Download in PDF Online. The National Business and Technical Examinations Board (NABTEB) has uploaded the Mathematics Syllabus for prospective students. wares as well as to enhance their mathematical problems – solving ability in their various trades. It is also to form a basis for post secondary technical education. The total mark for both papers is 150.
expected to attempt this paper. 2. Paper II: Consists of three sessions namely A, B and C.
Section A consists of five questions from General Mathematics. All candidates are expected to attempt all questions. This section carries 40 marks. questions except Secretarial and Business candidates who are to attempt only two questions. Each question carries 15 Marks. Section C consists of four questions from Commercial Mathematics for Secretarial and Business candidates only. Candidates are expected to attempt any two out of the four questions. Each question carries 15 marks. Candidates should be familiar with units-length, area, cubic capacity, mass – and their abbreviations. Any currency unit used will be defined. Candidates are allowed to use the recommended mathematical statistical tables in the examination hall for the papers. It is strongly recommended that schools/candidates obtain copies of these tables for use through the course. Candidates should bring rules and complete mathematical instrument set for all papers. Borrowing of instruments from other candidates in the examination hall will not be allowed. The use of noiseless, cordless and non-programmable calculators is allowed. If required, the following will be provided for any paper. (i) Plain drawing sheets for construction work.